Shopping for caulk in your home center can be a bewildering experience. A hundred different types of caulk tubes compete for your attention. Which one is the right for your project? Let's take a look at how you can find the right caulk. There are 4 different considerations when shopping for caulk. The different types of caulk have different adhesion capabilities to different material. For example, some bond well with wood, but cannot adhere to tile. Caulk tubes are labeled with their intended application. Choose a tube that matches your project. For example, a tube labeled "Trim, window, doors" is best for doing interior trim work. Exterior applications demand much more from caulk than interior projects do. Exterior caulk is exposed to UV rays from the sun, temperature swings, and substrate movement. Always use caulk rated for exterior use in an exterior application. Interior caulk will fail in these conditions. Interior caulk, on the other hand, does not have to handle extreme conditions. It can be produced much more cheaply than exterior caulk. While you can use exterior caulk indoor, it is much more cost effective to use interior caulk. Some types of caulking are not paintable. Paint cannot adhere to the surface of the caulk. Once the paint dries, it will simply fall off. This is why caulking comes in different colors. If you choose a non-paintable caulk, you color choice is vital. It cannot be changed without removing and reapplying the caulk. Paintable caulk is the better choice for indoor projects. Chances are the caulk is going to get painted several times during the home's lifespan. The material the caulk is made from determines much of its capabilities. 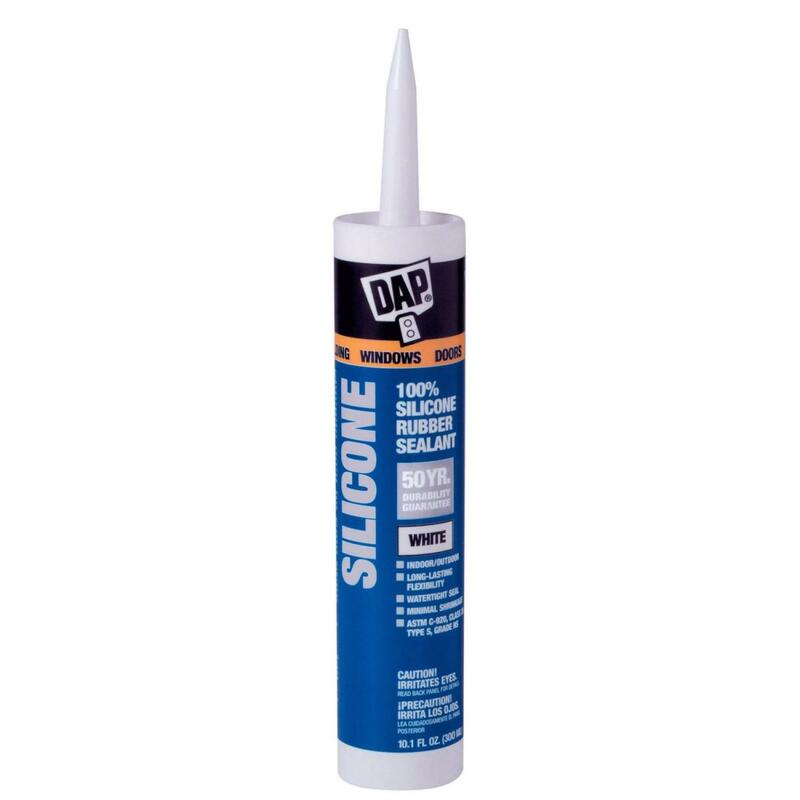 Silicone caulk is by far the best performing caulk in terms of adhesion, flexibility, and durability. Unfortunately it is also expensive and cannot be painted. Latex caulk, the best choice for interior applications, is not as durable, but is paintable and much less expensive. Polyurethane caulk and other blends fill out the spectrum in the middle. You must read the label of each tube to understand how that particular blend performs. Before you go to the home center make a list of the 4 requirements of your project. When you get to the home center, look for a tube of caulk that meets your requirements. Read the label carefully. Latex caulk is the best choice for interior projects. It is inexpensive and will last longer than the area you apply it to. Use Silicone or polyurethane caulk for the exterior of your home. These types of caulk cost more, but they remain permanently flexible under extreme conditions.